The Ceramic Fair is, as always, free and there is a whole program of activities around it, demonstrations of work by different potters, workshops and spaces to learn more about ceramic and culture. 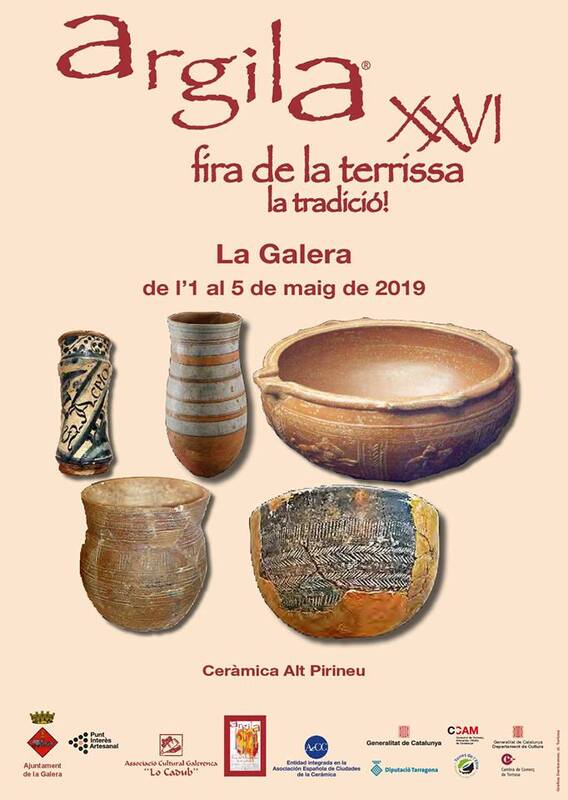 In the Terracotta Museum (in the ground floor of the City Hall of La Galera), with the same schedule as the fair, you can visit: room 1 (permanent) dedicated to pottery and the potters of La Galera: artisan process of creation of a piece of pottery, productions and uses of La Galera ceramics, pottery families, etc. and in room 2 (space dedicated to temporary exhibitions), exhibition of pieces by the potter Juan José Pajares Bermejo, winner of the VI Biennial Prize for Ceramics and Pottery Vila de la Galera 2018, ceramic mode. Contact: Cultural Association "El Cadub" / Terracotta Museum. Tourist Office.